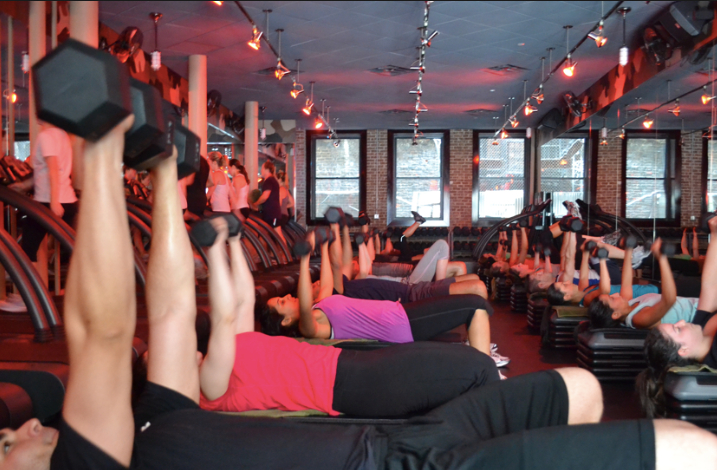 I spend at least seven hours a week coaching group fitness classes at Barry’s Bootcamp Boston. The maximum amount of people per class is 45. Several significant differences exist between coaching 45 people and coaching one person in a one-on-one session. If you are a personal trainer and leery of group fitness instructor’s ability to instruct proper form, drills and healthy movements, check out this article I wrote last May called “Strong First Principles in the Class Pass Crowd” first; it clearly demonstrates how I take principles in which I believe and apply them in a group setting. This article expands on the same topic demonstrating how to effectively cue large groups of people in order to not only correct very common lifting mistakes but also how to guide clients away from making them in the first place. I want to take you through the 10 corrective coaching cues I use the *most* often and the cues which I find most effective when coaching large groups. No matter what cues you use remember this: people are very impressionable and most are visual learners; always, ALWAYS demonstrate with your BEST form. Most people will not get low enough in their squat unless you remind them too. Whether it’s because clients don’t know or trust their own ability to get deeper in a squat or because they have never been taught how to squat properly, either way I see awkward quarter-squat movements very often. I always, always have clients start the movement with a moderately heavy dumbbell because it acts as a counter balance. That cue, when paired with a heavy dumbbell typically fixes the majority of the group. Push-ups are a tough one in group fitness settings. Most people should probably be doing push-ups from their knees or to a box. However, there isn’t always time to tell 20 unique individuals which modification to use. Not only that, but people are more motivated than you might think– when they come to Barry’s most clients are ready to test their limits and absolutely crush their workout. If you give them easy, medium or hard options, most people will almost always go for the hardest option. To make sure I can help as many people as possible I say, “Drive your elbows to the back corners of the room,” first. That cue typically tweaks their arm position and gives them a better movement pattern. See next cue for how to make it better from there. 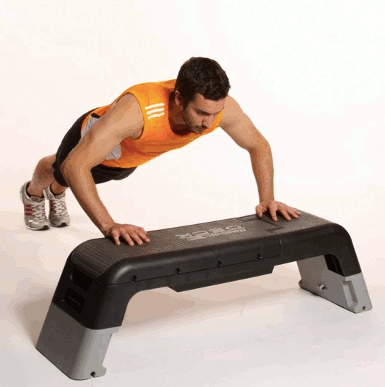 This cue is applicable to the push-up and any other movement that involves a plank. Clients tend to crane their necks upward OR (most commonly) droop their necks down like they are doing forehead stamps on the ground. By simply saying “Eyes out in front of you,” it takes them into a more neutral spine. One of the biggest things I every learned from my Strong First training was the power of good breathing while lifting heavy weights. People move so quickly in group fitness classes I swear they forget to breathe. This way they now know *when* to exhale with force and they are mindful of that. I also demonstrate the movements with forceful breathing, or diaphragm breathing. And no, I do not tell the clients that we are “diaphragm breathing” because most of them don’t care. The important point is to get them to work hard with good form and feel strong doing it. I cue them to breathe with their diaphragms by simply demonstrating the breathing when I show the exercise. Then I encourage them to exhale as they press. This is also called power breathing. I am beginning to hear a lot more hard exhaling around the room when I teach and it puts a sparkle in my eye. Another really important skill I learned through Strong First is irradiation. Irradiation is a technique used to create tension throughout the body when you make fist with your opposite hand. It helps you grind through reps when you are trying to press heavier loads and build more strength. At Barry’s Bootcamp people are typically doing higher rep ranges, however, using this skill is the difference between doing 8 reps and 12 for a lot of clients. It’s important to note that I do not sit everyone down and give them a lesson irradiation. In fact, I have never even breathed that word in class before. However when I demonstrate, I make a fist; I show them how to do it. Simply doing that influences about 10 people to mimic my movement. This trick also helps people immensely with balance issues. I try and coach unilateral exercises in every class so people can learn to find their strengths and their weakness, train their brain a little bit, work on coordination and test their strength. When you do single-arm chest presses, overhead presses, single-leg deadlifts etc. the balance aspect is quite challenging– especially for clients who aren’t used to it. Making a fist with the opposite hand and practicing irradtion (without realizing it) helps! So many clients practice open-hand pressing. And trust me, I used to do it too. What this tells me is that they are not lifting heavy enough weights. When I see open-hand pressing I first say, “Squeeze the weight with your hand; it will make it easier,” and most people do so right away. This is short video of open-hand pressing; I see people do this all the time. Clients could lift more weight in a controlled manner if they stopped doing this. However, I try to hand the clients who do this heavier weights when I can. That, or I tell them to go get heavier ones on their own. It’s funny because even with all of the mirrors people don’t actually focus on their own form as much as you would think. I will be the first to admit I HATE watching myself in mirrors and it takes getting used to when you first go to Barry’s. Despite all the angles clients get to see of themselves at Barry’s so many of them cut the range of motion short on their lifting exercises. As soon as I say “All the way down,” people correct it. Sometimes I make the movements paused for thirty seconds in order for them to have time to slow down double check their depth. For instance, I will have them begin in a chest press and then have them pause the movement at the bottom so they can 1) spend more time under tension and the drill becomes more difficult and 2) so they can check out their ROM. Side note: making exercises paused in group settings like Barry’s is GREAT because most people do not pick up heavy enough weights in the first place… by adding the pause it makes it much more difficult for them! I can say, “chest up!” like a broken record and only a fourth of people will actually hear me and correct their form. 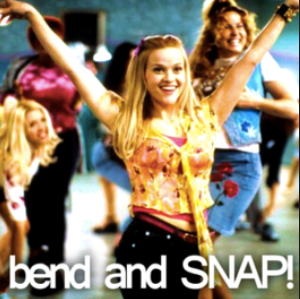 As soon as I say, “Do the bend and snap,” people get it– they keep the weights closer to their body; they keep their chest up and they smile, (which is an added bonus!!). The one reason I hesitated to use this cue for a while was fear of people arching their low back. However, it has been much more effective for the group as a whole when I use this cue. People love the idea working their abs so it motivates them to brace and squeeze. I learned this cue from my friend and former coach Lauren Perreault at Achieve Fitness in Boston. It is a great one because for some reason even if I put RDLs and single-leg deadlifts back-to-back on the floor portion of Barry’s people drop their chests almost immediately on the single-leg movement. This cue helps people keep their arms long and chest up. Clients also tend to not drive their back leg up as high when they “Play keep away with the floor” because they tip forward less. At Barry’s Bootcamp everything is timed. For instance you might be in chest press exercises for three minutes. Obviously if you are able to rep out chest presses for three minutes straight you are working muscular endurance and not building strength nor hypertrophy; to help people find challenging weights/loads and to check in to see if they are using the correct size dumbbells I give them goal rep ranges for the exercise. These cues give people a better idea of how heavy to go when selecting their dumbbells for class. Coaching large groups is a different ball game compared to coaching one-on-one clients. It takes being very aware of the room and reading how people are doing with the workout. Sometimes you realize that in order for them to feel challenged you need to suggest grabbing heavier weights, you may need to give them more time in the exercise and you must absolutely use cues that make sense for the majority of the people in class. If there is one odd man out who needs a very distinct type of instruction then that’s a case when you want to go have a quick exchange with the microphone on mute. However, the 10 cues aforementioned generally apply to the most common mistakes made in group fitness classes, according to my experience. Remember: people will mimic what you do. Showing can be easier and more effective than telling so always demonstrate with good form and breathing. If you see errors after your demo, try using some of these cues to get people on the same page so all 45 people can have a safe, effective and challenging workout! Thank you, Shane!!! Keep up the great work! Hi, these cues are great. I did my first ever group class today and although I was extremely motivated, i ran out of cues early on, not knowing what to say other than to motivate people. I’m going to implement these cues at my next class…this was a very informative read and extremely useful information.